I began my military career in the US Army on July 2006 and separated in February 2010. I was assigned as a 68 Kilo (Medical Laboratory Technician). During my time in service I received several awards, including the Army Commendation Medal, the Army Achievement Medal, the Good Conduct Medal, the National Defense Service Medal, and the Global War on Terrorism Service Medal. I was stationed at Fort Jackson, SC, Fort Sam Houston, TX, Walter Reed Army Medical Center, Washington D.C., and Fort Stewart, GA.
After the military, I started a career at the VA’s Texas Valley Coastal Bend Health Care System in Harlingen, TX as a secretary for the Associate Chief of staff for Primary Care. Later, I worked for the Finance Department as an Accountant Technician and was promoted to the position of MCA DSS Program Analyst in April 2018 within the Finance Department. Recognition in her exhibition of the Core Values of Integrity, acting with high moral principle, adhering to the highest professional standards, and maintaining the trust and confidence in the VA. Recognition for her completion of a yearlong Career Development Program at Texas Valley Coastal Bend. 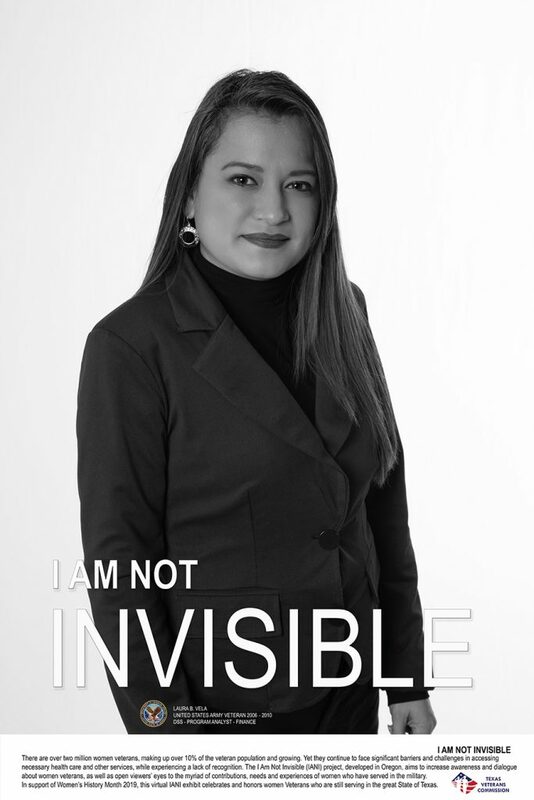 Laura Vela enjoys working and volunteering for local community events.